Richmond Hills is a town of 10,000 residents located 20 miles south of historic Savannah, Georgia. This rapidly growing community offers a quaint and charming main street, quiet Southern charm and great community spirit. Residents have all the modern conveniences in city services, shopping and restaurants, a unique history and heritage, plus plenty of outdoor recreation and adventure activities. 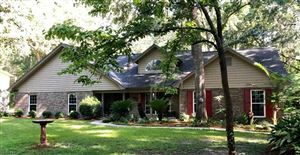 A family-friendly environment, Richmond Hill is an easy commute to Hunter Army Airfield, Fort Stewart and downtown Savannah. Nine miles from downtown Richmond Hill is the well-established and serene neighborhood of Tivoli Marsh. This quiet neighborhood of 57 homes is located off Belfast Keller Road and bordered by the Tivoli River on its south side. This 50-acre development is graced with old live oaks, scenic marsh views and the beauty of tidal creeks. Tivoli Marsh is maintained by a Homeowners’ Association whose dues are $50 per month. The cost of each property owner’s unmetered water usage is included in your monthly dues here. This private community maintains its own roads and well. The HOA also hosts several parties and events throughout the year to bring families together, such as the annual Christmas Party/Bonfire plus the Back to School Party. Neighborhood children attend the Richmond Hill Primary School (PK-1), Richmond Hill Elementary (2-3), George Washington Carver Elementary (4-5), Richmond Hill Middle (6-8) and Richmond Hill High (9-12). These are some of the finest schools in the state of Georgia. Homes for sale in Tivoli Marsh were completed in the 1980s and 1990s and are only available through resale. The prices range from the mid $200,000s to the high $300,000s, with large lots of half an acre or more. Square footage ranges from around 2,000 to 3,000 sq ft.
Home prices in the area are down almost six percent from last year, so now is an excellent time to invest in a home in Tivoli Marsh. Call the team at RE/MAX All American today to schedule an appointment with one of our real estate professionals. We will gladly assist you with all your real estate questions and needs.